Sky Deutschland has slashed the price of its online video service Snap to just €3.99 per month, ahead of Netflix’s planned launch in Germany next month. From this week, Sky said it will make Snap – which currently include more than 5,000 TV and movie titles – available to everyone for just €3.99. A new ‘Snap Extra’ option will also let users access Snap on two devices simultaneously, and download movies and series to iPad and iPhone, for €6.99 per month. Snap’s content catalogue includes HBO series such as Game of Thrones, Boardwalk Empire, and The Sopranos, children’s programmes from the likes of Disney, as well as Hollywood movies such as Sherlock Holmes, Inception and R.E.D. 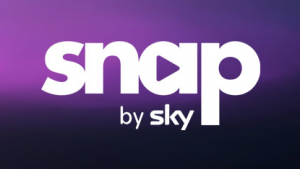 The entire Snap catalogue is also available to access within Sky Go, the online service for Sky TV subscribers in Germany and Austria, with Sky claiming that Snap and Sky Go combined will offer more than 25,000 hours of content over the next year. “For those seeking an enormous selection of new movies and hit series in a flexible online video service with a monthly contract, Snap is just the right thing: for only €3.99, we are offering customers unbeatable value, backed up by years of experience from Sky’s programming team,” said Oliver Lewis, senior vice president, product management at Sky Deutschland. Previously, Snap was available to non-Sky subscribers for €9.90 per month with only a month-to-month commitment. Existing Sky customers can also access the service for an additional €4.90 per-month, acting as a compliment to Sky Deutschland’s Sky Go and Sky Anytime VOD offerings. Sky said that with the price change, Sky subscribers who are currently using Snap for €4.90 will continue at this price and have the Snap Extra option automatically included. Snap standalone customers will see their price reduced from €9.90 to €6.99 and also receive the Snap Extra option.